What is the Education System in the U.K like? The Education System in the U.K is very different from what you are used to here in India. In the U.K education system, you will find that there are a vast range of courses with specializations in different academic fields. Not only that, but there are also a lot of courses that offer education in various art forms, including performing arts. Some courses stress on practical training, whereas some focus on academic knowledge. Apart from the diversity in education, there is also much greater flexibility in terms of the curriculum of courses as compared to India. Students are allowed to choose subjects as per their own wish for most of the courses. Some of the main features of the U.K education system are discussed below. The concepts of ‘Further Education’ and ‘Higher Education’ are vital to the U.K education system. Most of the students pursue primary education which is compulsory for all students till the age of 16. That usually includes 11 years of education. After completing their primary education, students pursue ‘Further Education’ but this is not compulsory. Further Education generally includes 2 years of study. This study can be academic or professional. Professional studies at this point help students get into the professional side of the field straight away whereas the academic sides of further education helps students pursue courses that prepare them for college education. Such courses are also called ‘Foundation courses’ as they build a foundation for college studies. Further education qualifications in the U.K are in the form of ‘A – Levels’, ‘International Baccalaureate’ and ‘Scottish Highers’. After completing their further education, students generally pursue ‘Higher education’ which includes college level studies through undergraduate and postgraduate degree courses. Unlike the U.S, you can choose to pursue professional courses like Law and Medicine as a part of your higher education undergraduate degrees in the U.K.
One of the most important features of the U.K education system is the ideal mixture of a vast diversity of institutes, colleges, universities and performing arts schools. The U.K is home to some of the world’s best and largest academic universities, including the Oxford University and the Cambridge University. On the other hand, it also boasts of several prestigious art schools like the University of Arts, London. You also have the option to join smaller institutions that focus on practical education. Such institutions generally award diplomas and certificates instead of degrees. U.K comprises of more than 160 universities and colleges as well as 700 other academic institutions. Even though the numbers are much lesser as compared to other countries like the U.S, the quality of a lot of these institutions is unparalleled. A proof of this is that for the year 2013, 4 of the top 10 universities in the world are from the U.K. There are various types of courses and degrees that the U.K education system offers its students. The most common are the 3 year Bachelor level courses on completion of which students are generally awarded either a B.A (Bachelor of Arts) or a B.Sc. (Bachelor of Science). Apart from these Bachelor level courses, the U.K education system also offers students the opportunity to Master level courses and Doctorates. You can choose to pursue diplomas and short - term courses if you do not wish to pursue degree courses. You will generally be provided with a Certificate of Higher Education (Cert. H.E.) or a Diploma of Higher Education (Dip. H.E.) upon completion of these courses. Even though you will not be provided with degrees at the end of these courses, you can use these to join the 2nd or 3rd year of Bachelor level courses after their completion. You can also choose to pursue various art courses (especially in the field of performing arts) which are offered by various conservatoires such as the Royal Academy of Music, London. You will generally be provided with undergraduate degrees upon completion of the course in such colleges. Credit hours in the U.K generally refer to the amount of learning that a student is supposed to do in order to obtain a degree or any other qualification. One credit generally refers to 10 hours of work. So if you have to complete a module that comprises of 10 credit hours, then you would be generally required to study 100 hours for that subject in one year. Credits are awarded once you have displayed your learning in the assessment. The assessment can be in the form of exams, assignments, etc. In the U.K, one year of undergraduate studies generally include 120 credit hours. Therefore, you would be required to earn a minimum of 360 credit hours to earn a Bachelor’s degree. In the U.K, courses are generally divided into ‘modules’ of different subject. 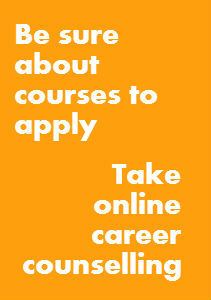 Students are allowed to choose these modules as per their interests and convenience. For example, a course in History might be divided into 10 modules out of which a student has to pursue only 5. So, a student more interested in Modern History might choose to pursue those modules which focus on recent history whereas another student might choose to focus on Ancient history by choosing different modules. However, there are some restrictions to this choice of modules as some modules are mandatory for professional course like Law or Accounting. Generally, one year of the undergraduate course is divided into 3 terms. Out of these 3 terms, 2 are of 12 weeks each. The last term is slightly shorter (for some colleges) and focuses on the revision of what has been learnt throughout the year. Students who wish to pursue courses in 2 subjects can choose to either do a ‘joint degree’ which will equally concentrate on both subjects or they can choose to do a ‘Major with Minor’ degree where the main subject (Major) will have 3/4th of the focus. The U.K education system also has ‘Sandwich’ courses which include a year of professional work – experience as a part of the course. The duration of such courses is generally 4 years and the work – experience part involves working in the industry in your 3rd or 4th year. 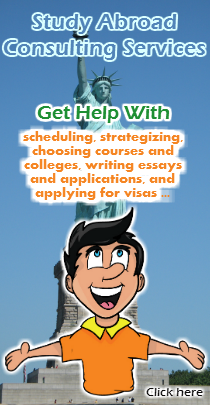 Before you choose to pursue this type of a course, you will need to make sure that your visa terms and conditions allow you to pursue it. The grading system followed by U.K universities and colleges is very different from what is followed in the U.S. Students are assessed on the basis of essays, practical work, exams, research work etc. Instead of letter grades, the U.K system has degree ‘classifications’. These classifications include 1st class, 2nd class 1st Division, 2nd class 2nd Division and 3rd Class. All colleges in U.K follow this method of grading, although with certain differences. For example, not all colleges use the same criteria for classification between degrees. When you graduate, your degree will be put under any of the above categories. Generally, if your overall marks out of 100 are over 70, you will get a 1st Class with Honors degree. If your marks are between the ranges of 60 – 69, then you will get a 2nd Class 1st Division degree. If your total marks are in between 50 – 59, then you will be awarded a 2nd Class 2nd Division degree. And similarly, if your marks are in between 40 – 49, then you will be awarded a 3rd Class degree. Needless to say, the Honors degree is the most valuable. Keep in mind that India also follows a similar system of classification between degrees. In terms of the teaching methods and classroom atmosphere, the U.K education system is very similar to the U.S education system. Classes are divided into one hour ‘lectures’ that involve a teacher talking about a subject and students taking notes. Then there are ‘seminars’ with smaller classes where the focus is on individual attention and sharing of opinions and views. There is a lot of focus on practical work and students are encouraged to carry out their own research. In the U.K, classes are modeled so as to promote professional learning. Many courses include a year of workplace training as a part of the curriculum. Teachers are friendly and there is a feeling of mutual respect, warmth and equality within the class and in between the teachers and students.